1,443 people read this post. Sayyiduna Abdullah ibn Umm Maktum was a cousin of Khadijah bint Khuwaylid, Mother of the Believers, may Allah be pleased with her. His father was Qays ibn Za’id and his mother was Aatikah bint Abdullah. She was called Umm Maktoum (Mother of the Concealed One) because she gave birth to a blind child. Sayyadina Abdullah witnessed the turbulent rise of Islam in Makkah. He was amongst the first to accept Islam. He lived through the persecution of the Muslims and suffered what the other companions of the Prophet sallallaahu alaihi wasallam experienced. His attitude, like theirs, was one of firmness, staunch resistance and sacrifice. Neither his dedication nor his faith weakened against the violence of the Quraysh onslaught. In fact, all this only increased his determination to hold on to the religion of Allah and his devotion to His messenger sallallahu alaihe wasallam . Abdullah was intensely devoted to the noble Prophet sallallaahu alaihi wasallam and he was so eager to memorize the Qur’an that he would not miss any opportunity to achieve his heart’s desire. Indeed, his sense of urgency and his insistence could sometimes have been irritating as he, unintentionally, sought to monopolize the attention of the Prophet. In this period, the noble Prophet, peace be upon him, was concentrating on the Quraysh notables and was eager that they should become Muslims. On one particular day, he met Utbah ibn Rabiah and his brother Shaybah, Amr ibn Hisham better known as Abu Jahl, Umayyah ibn Khalaf and Walid ibn Mughirah, the father of Khalid ibn Walid who was later to be known as Sayf Allah or ‘the sword of Allah’. He had begun talking and negotiating with them and telling them about Islam. He so much wished that they would respond positively to him and accept Islam or at least call off their persecution of his companions. While he was thus engaged, Sayyadina Abdullah ibn Umm Maktum came up and, nor being aware what Rasulullah Sallallaahu Alayhi Wasallam was involved in, asked him to read a verse from the Qur’an. 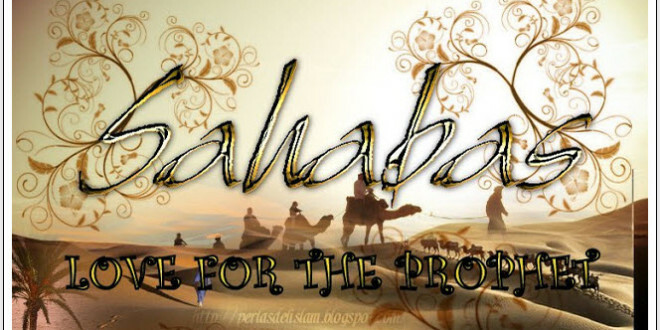 The noble Prophet sallallaahu alaihi wasallam frowned and turned away from him. He turned his attention instead to the prestigious group of Quraysh, hoping that they would become Muslims and that by their acceptance of Islam, they would bring greatness to the religion of Allah and strengthen his mission. “He frowned and turned away when the blind man approached him! he might perhaps have grown in purity or have been reminded of the Truth, and helped by this reminder. although you are not accountable for his failure to attain to purity. But as for him who came unto you full of eagerness and in awe of God, him did you disregard. These are the sixteen verses which were revealed to the noble Prophet sallallaahu alaihi wasallam about his dear friend, Sayyadina Abdullah ibn Umm Maktum radiyallahu anhu – sixteen verses that have continued to be recited from that time till today and shall continue to be recited. From that day the NOBLE Prophet sallallaahu alaihi wasallam did not cease to be generous to Sayyadina Abdullah ibn Umm Maktum, to ask him about his affairs, to fulfil his needs and take him into his council whenever he approached. When the Quraysh intensified their persecution of the noble Prophet sallallaahu alaihi wasallam and those who believed with him, Allah gave them permission to emigrate. Sayyadina Abdullah’s response was prompt. He ana Mus’ab ibn Umayr were the first of the Companions to reach Madinah. REMEMBER THAT HE WAS BLIND WHEN HE MADE THE DANGEROUS JOURNEY. As soon as they reached Yathrib, he and Mus’ab radiyallahu anhu began discussing with the people, reading the Qur’an to them and teaching them the religion of Allaah. When the Prophet, upon whom be peace; later arrived in Madinah, he appointed Sayyadina Abdullah and Bilal ibn Rabah to be muadhins for the Muslims, proclaiming the Oneness of Allah five times a day, calling man to the best of actions and summoning them to success. MANY DO NOT KNOW THAT THIS BLIND SAHABI WAS ALSO THE MU’ADHIN OF RASULULLLAH SALLALAHU ALAI WASALLAM. Sayyadina Bilal would call the adhan and Abdullah would pronounce the iqamah for the Prayer (salaat). Sometimes they would reverse the process. 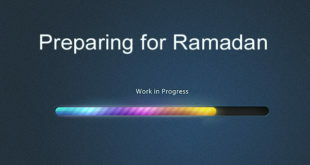 During Ramadan, they adopted a special routine. One of them would call the adhan to wake people up to eat before the fast began (suhoor). 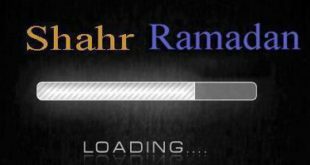 The other would call the adhan to announce the beginning of dawn and the fast. One of the responsibilities that the noble Prophet sallallaahu alaihi wasallam placed on Sayyadina Abdullah ibn Umm Maktum was to put him in charge of Madinah in his absence. This was done more than ten times, one of them being when he left for the liberation of Makkah. “O messenger of Allah. If I could go in jihad, I would certainly do.” He then earnestly asked Allah to send down a revelation about his particular case and those like him who were prevented because of their disabilities from going on military campaigns. In spite of thus being excused from jihad, the soul of Sayyadina Abdullah ibn Umm Maktum refused to be content with staying among those who remained at home when an expedition was in progress. Great souls are not content with remaining detached from affairs of great moments. He determined that no campaign should by-pass him. Crowds of Muslims from every direction responded to Sayyadina Umar’s call and converged on Madinah. Among all these was the blind mujahid, Sayyadina Abdullah ibn Umm Maktum radiyallahu. Sayyadina Umar radiyallahu appointed Sa’d ibn Abi Waqqas radhiyallahu anhu commander over the army, gave him instructions and bade him farewell. When the army reached Qadisiyyah, Abdullah ibn Umm Maktum was prominent, wearing a coat of armour and fully prepared. He had vowed to carry and protect the standard of the Muslims or be killed in the process. The forces met and engaged in battle for three days. The fighting was among the most fierce and bitter in the history of the Muslim conquests. 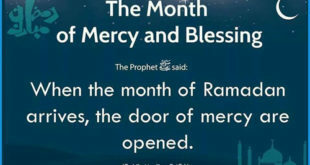 On the third day, the Muslims achieved a mighty victory as one of the greatest empires in the world collapsed and one of the most secure thrones fell. The standard of Tawhid was raised in an idolatrous land. The price of this clear victory was hundreds of martyrs. Among them was the gallant Mu’adhin and scholar – Sayyadina Abdullah ibn Umm Maktum. He was found dead on the battlefield clutching the flag of the Muslims. This BLIND Sahabi died a martyr on the battlefield and met his Lord in the most envious of ways.